Patch handle polythene bags are one of the most widely used carrier bags. They are commonly used on the high street for fashion outlets and sports outlets and also used in many exhibition or promotional situations. The bags have reinforced handles. A small patch of polythene is placed behind the handle location during manufacture so that when the handle hole is punched out, the surrounding LDPE or HDPE is supported by an extra layer of usually clear polythene. This adds far great strength around this area and allows the carrier bag to be used for longer periods and carry more weight. Without the patch insert, the handle area tends to be one of the weaker spots on a carrier bag as when in use correctly, the handle will have to support all of the contents of the carrier bag. The bags are commonly side welded and produced with a base gusset to allow greater capacity within the bag. Printed 2 colours, both sides, with 100% ink coverage. The bags are usually packed in outer card boxes in quantities of 500 or 1,000. Deliveries can be made to any location around the UK or exported too. Beckdale can assist with all artwork and design processes of all carrier bags. A sample bag is not possible on this style of bag due to the machine set up requirements. 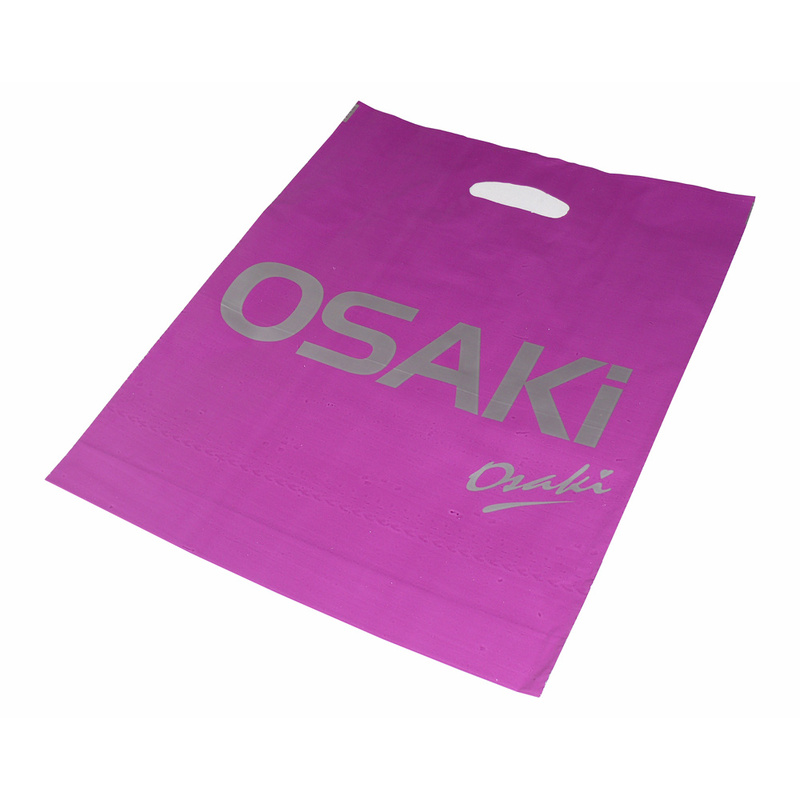 Our Company assist in the creation of printed 2 colours patch handle poly carrier bag. Beckdale.co.uk sales staff are happy to help customers purchase designer 2 colours patch handle poly carrier bag. To start designing your choose by material or different styles of , get in touch with our offices via our contact page.